The Denominación de Origen Inter-Professional Valdepeñas Association protects and promotes winemaking interests in the production area and represents winemakers and processors – customer-facing merchants, by providing a stable framework underpinned by internal regulations that guarantee, manage and control the quality of local wines. Protect the authenticity of the cultivation process..
Control the origins of raw materials. Supervise the production and bottling process.. 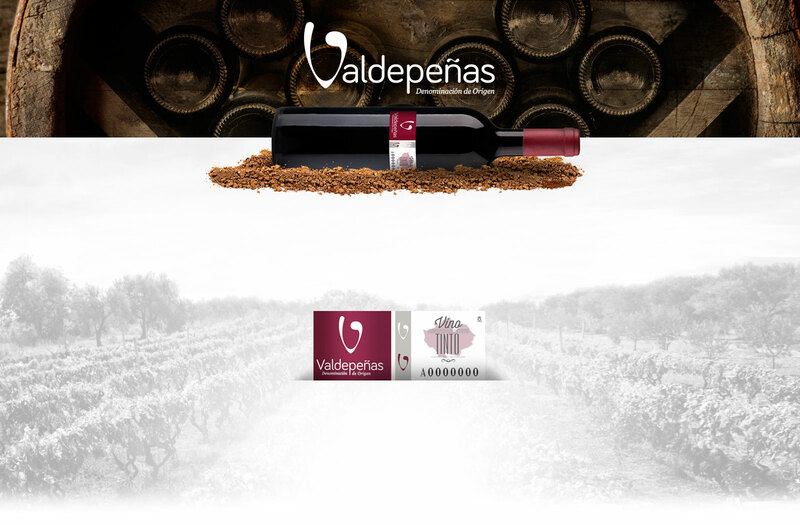 The unique characteristics of Valdepeñas wines are rooted in the region’s winemaking tradition and history, which date back several centuries before Common Era. The type of vines that are used to make wine today are a direct descendent of the VITIS VINIFERA, from the Vitaceae family. They have been grown throughout the centuries, since the times when history blurs into myth. These vines are known to have existed in Babylonia and were grown by the first Pharaohs of Egypt. However, it was the Greeks and the Phoenicians who developed viticulture in a more systematic manner and introduced it across their colonies. These two cultures are the main primary sources of knowledge and the subsequent evolution of winegrowing in the West. This development was especially significant in Mediterranean countries such as Spain, France and Italy. The Denominación de Origen Valdepeñas production area lies along the southern edge of the Meseta Sur, bordered by the La Mancha plains to the north, the fields of Montiel to the east, Calatrava to the west and the Sierra Morena mountain range to the south, with the River Jabalón running through the area from east to west. Airén. Clean and brilliant wines of a yellowy, pale straw colour, with occasional golden tones, rarely greenish or steely. Medium to strong aromas with obvious fruity tones, clear hints of apple and banana and in some cases more subtle hints of wild flowers and almonds. On the palate, they are dry and slightly sweet, light bodied, with little extract and have a fresh, not too acidic taste. Macabeo. 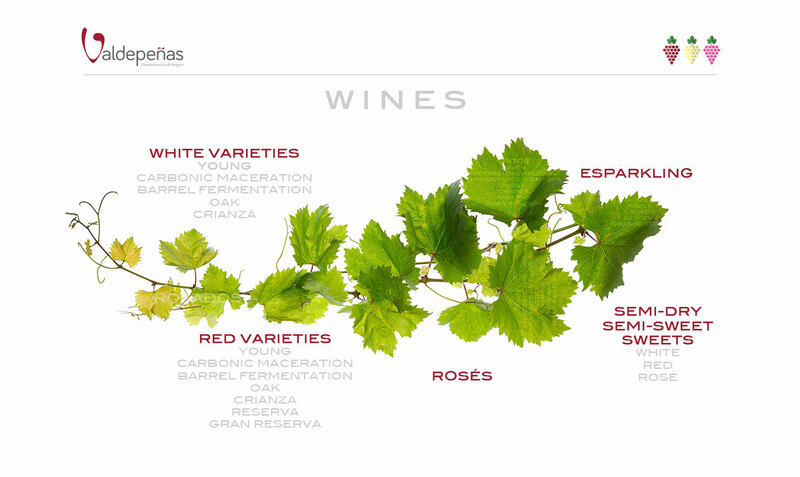 These wines have greater aromatic potential than the traditional Airén variety. In our region, they are considered very versatile and used for both still and sparkling wines, their slow oxidation makes these wines perfect for ageing in wood. The wine is pale and light, with hints of green fruits. Chardonnay. Very elegant, refined wines with significant aromatic potential, a pale yellow colour and characteristic tropical aromas. These wines are full-bodied and structured, and are ideal for barrel fermentation. Baume levels should not be too high, as this significantly reduces the fragrance and delicacy of the wines. Sauvignon Blanc. Considered the most refined variety after Chardonnay, these wines are known for their strong aromatic potential with notes of recently cut grass. They should have a relatively low alcohol content to best develop their excellent potential and qualities, resulting in wines with a pleasing acidity and a pretty, pale yellow colour. Moscatel de Grano Menudo. The main difference between these and other moscatels is the smaller size of the grape. 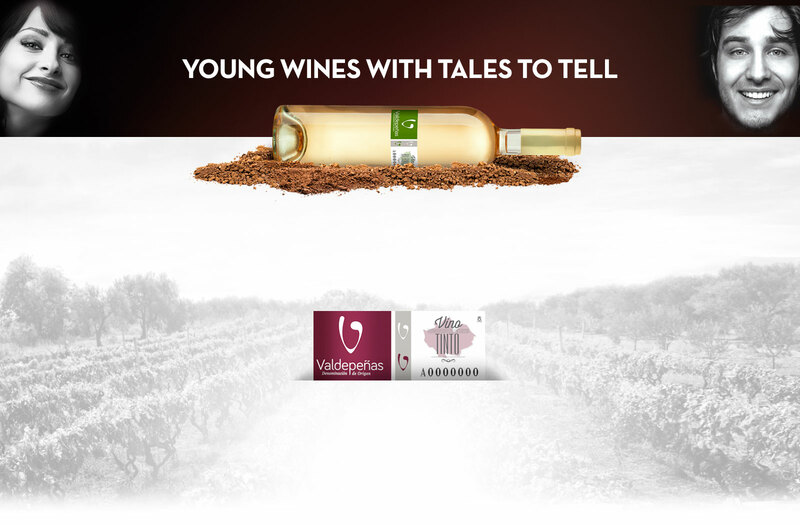 They produce wines renowned for their strong aromatic potential, with hints of fruits and flowers. They are well suited to being mixed with other less aromatic varieties. Verdejo. Known for its delightful hints of wild flowers and fruits, good structure in the mouth and a slightly bitter finish balanced with the sweet undertones that give this wine its distinctive character. Tempranillo (Cencibel). 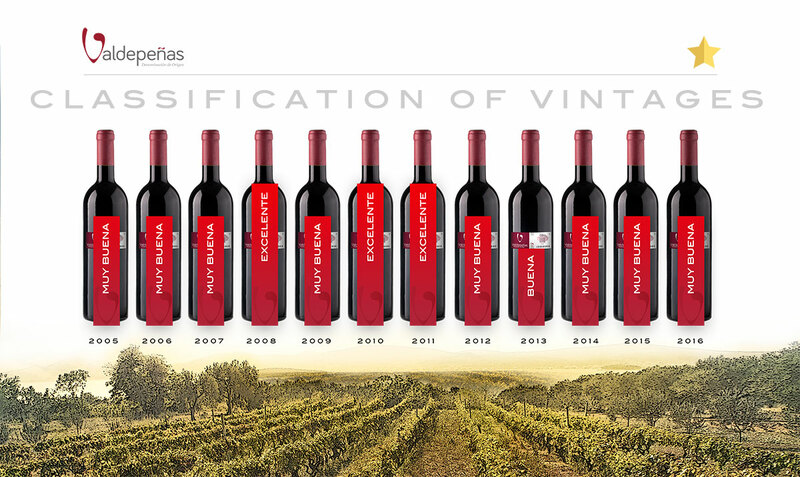 This variety is among the best suited to high-quality Crianza wines. It has also proven to be very good for young wines, when used for this purpose, and its versatility makes it an excellent choice for rosé as well.Tempranillo (Cencibel) is, without doubt, one of the most important varieties in Valdepeñas, being the flagship of the area and its wines. Cabernet Sauvignon. 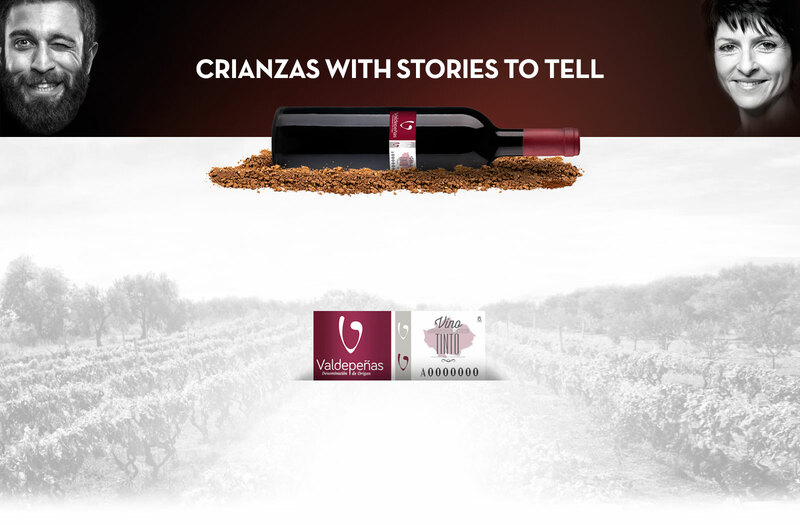 This variety is ideal for Crianza wines, due to its structure, high acidity and considerable tannins, resulting in wines with an intense colour and strong aromas of violets and berries. Merlot. This variety produces very high-quality wines that in coupage with other varieties from our Denominación de Origen can improve them, especially when blended with Cabernet Sauvignon and Tempranillo (Cencibel). The varietals are very elegant with a beautiful raspberry tone, almond aromas and a clean finish. Petit Verdot. This is an excellent variety for coupage, with just a 10% part in the blend providing plentiful aromas, colour, acidity and tannins. At an average altitude of 700 metres, the chalky, sandy and clayey soil in the region is perfect for growing the best-quality vines. Miocene, Triassic and Silurian, making for soil rich in limestone, sand and chalk deposits. The land used for growing wine, being the vast majority, is mainly sandy, fairly clayey and has a reddish, yellowy colour. It is lighter in the upper layers and can even appear almost white. The soil is interspersed with bands of red clay. The two eastern thirds of the northern sector of the municipality of Valdepeñas, and the northern border of the San Carlos del Valle area, are on plio-quaternary land and are mainly formed from rounded quartzite, with very little dolomite (rock similar to limestone formed from double calcium magnesium carbonate), limestone and finer feldspathic sand deposits (calcium, sodium or potassium and aluminium silicate, or a mix of these bases), along with red clay with very little organic matter. The rest of the vines are on Ordovician terrain (a period during the Paleozoic Era between the Cambrian and Silurian), which has evolved into brownish southern soil or Mediterranean reddish soil. The production area has a dry, continental climate, with clear skies 80% of the time and usually over 2,500 hours of sunlight a year with temperatures of up to 45 °C. With little rainfall (between 200 and 400 litres per metre squared) and at 700 metres above sea level, this is an extremely arid area that sees frosts well into the spring, when the plants start to bud. 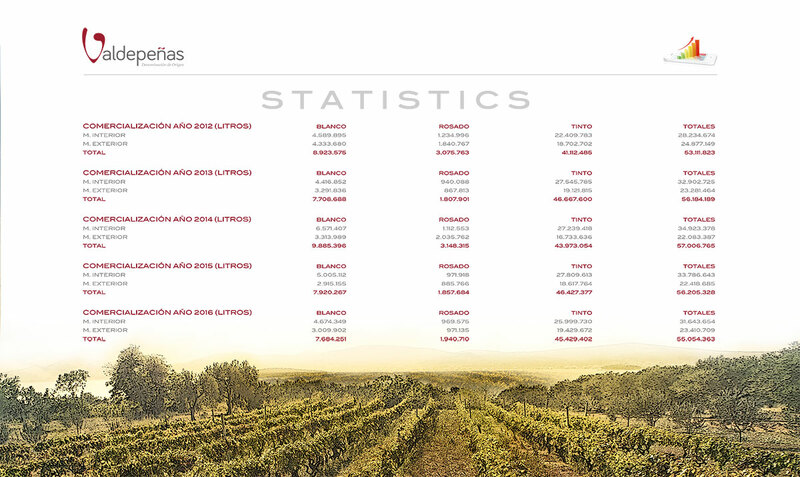 As a result, the area offers relatively lower yields, offset by its peerless capacity to produce the finest quality wines. Since its foundation, the Denominación de Origen Valdepeñas has won a range of other awards. A panel of judges including representatives from professional organisations such as the Valdepeñas Association of Sommeliers (ASUVAL), IRIAF, the Professional Association of Winemakers of Castile-La Mancha, the Spanish Union of Wine Tasters, the Association of the Young Friends of Valdepeñas Wine and the Winemakers Association of Castile-La Mancha, among others, meet annually to taste the wines presented by the bodegas of the D.O. Valdepeñas for the Quality Awards. The wines are assessed by a process of blind tasting, using the classification system recommended by the International Organisation of Vine and Wine (OIV). Winners of the award receive an accrediting certificate and an adhesive medal, which helps to differentiate their wines and provides added value for the end consumer. 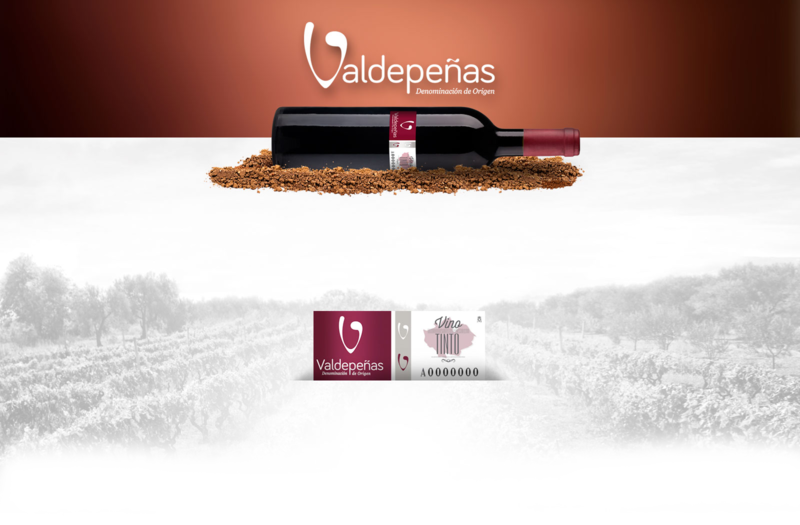 Valdepeñas wine has not escaped comment, interpretation and contemplation by many great cultural figures, swept away by its unique charm. If you have a story to tell, share it.